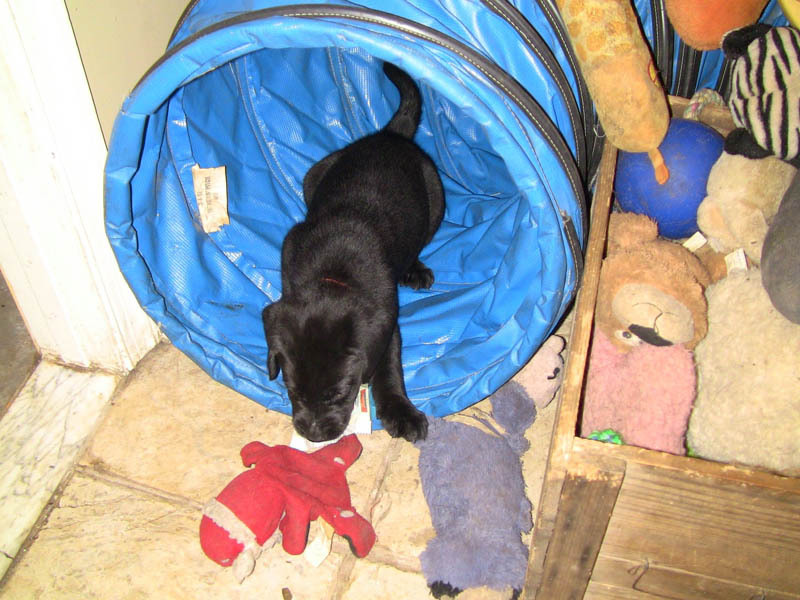 Our puppy enrichment area gets the pups used to a wide variety of things to help them take the big, wide world in stride. 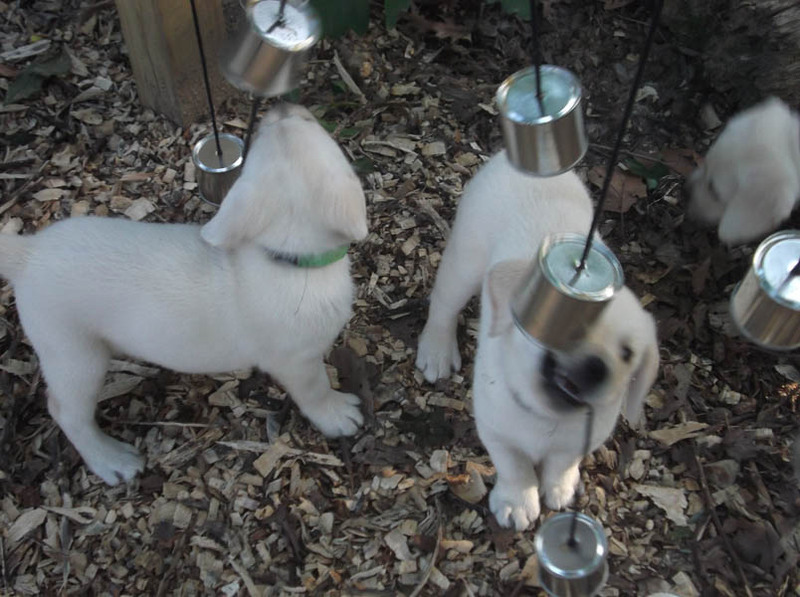 This also gives Debby a chance to see what the pups’ individual talents are. 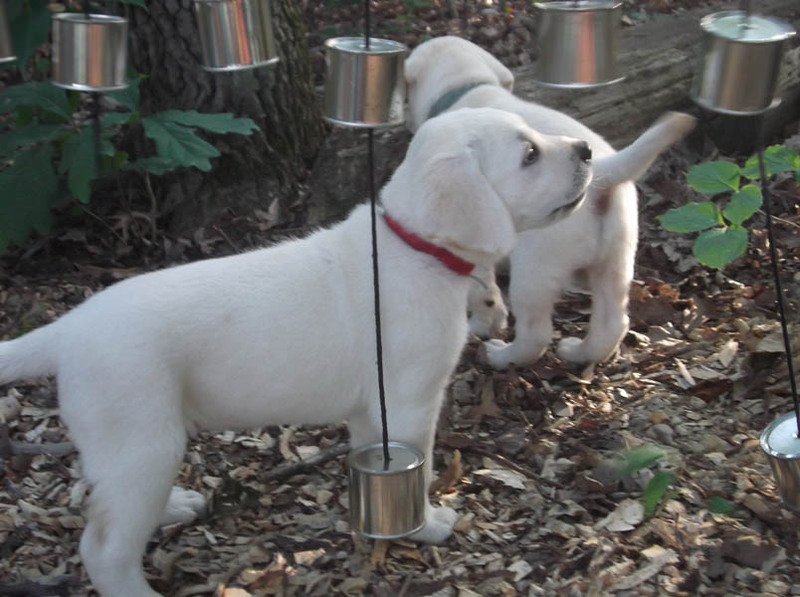 In the second video, Debby evaluates the puppies’ potential for working dogs. 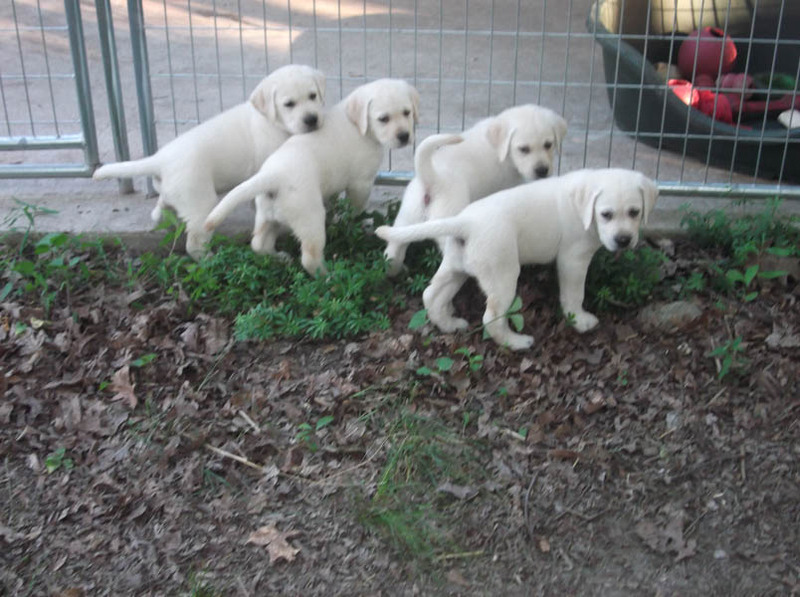 “As this litter grows and develops I’m beginning to see which ones I think will be the better Super Sniffer prospects. Here they are learning about new surfaces and obstacles,” she says.